Living tiny doesn’t mean you have to rough it. 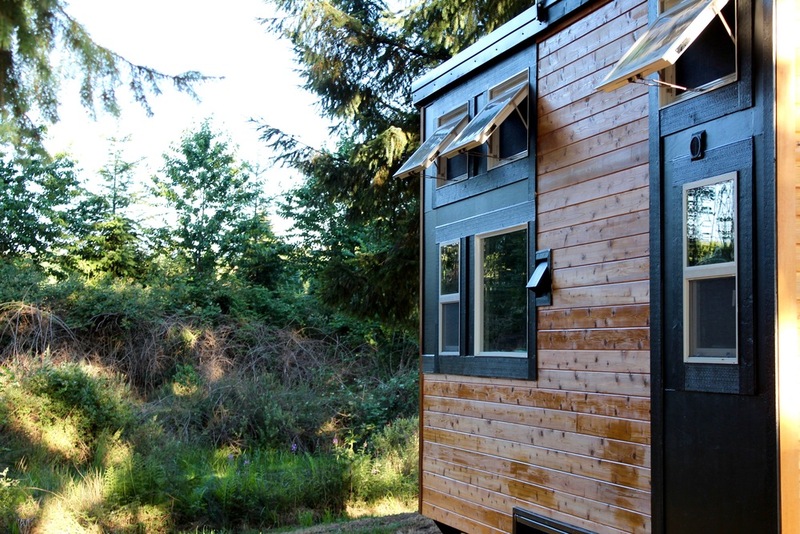 See how innovative tiny home designers Tyson and Michelle Spiess pack luxurious amenities into custom compact tiny houses measuring 250 square feet or less. Tyson and Michelle Spiess, husband and wife tiny home design duo and hosts of HGTV’s Tiny Luxury, pride themselves on building fully-functional tiny houses filled with all the comforts of a standard home. With the help of Michelle’s two brothers and their wives, the team crafts custom compact tiny homes using only the highest quality materials and furnishings. Their mantra: downsize, don’t downgrade. Check out some of the luxurious amenities this innovative team packs into each of their gorgeous tiny houses and you might just get inspired to go tiny, too! Because a kitchen in a tiny house is less than half the size of a standard kitchen, splurging on high-end materials is a non-issue. Marble countertops, custom cabinetry, and handmade tile backsplashes are all affordable when you only need a few feet of each. In this gorgeous modern space, clients requested butcher block countertops, stainless steel appliances, and a sleek stainless steel tile backsplash. Really cool features like this hidden dishwasher and combined washer and dryer are totally feasible and affordable options. Although it doesn’t look like it, this dishwasher can hold up to 7 place settings and 4 large pots and pans. Due to heating and cooling costs, picture windows or skylights often aren’t budget-friendly options in a standard home. But in a tiny home, large windows not only aid in air circulation but make the space feel larger and more open. So you can lay back, watch the stars and sleep soundly knowing you won’t have to pay an electricity bill. Who doesn’t dream of relaxing in a warm bath at the end of the day? This luxurious tiny bathroom features a full-sized galvanized soaking tub, a relaxing station, spa shower, vessel sink and high-end industrial vanity lights. Because a tiny home is built to hit the road, choosing durable, top-of-the-line materials like real hardwood floors, trim and beams is a must. “With less square footage, you need materials that will hold up to constant use,” says Tyson. This luxury tiny home features knotty alder pine trim and beams, red oak hardwood floors and a handcrafted oak staircase. Because you’ll likely need only one or two pieces, ordering handmade, custom furniture like this sleek brown leather sofa is a luxury you can definitely afford. 9. And the Most Luxurious Amenity?